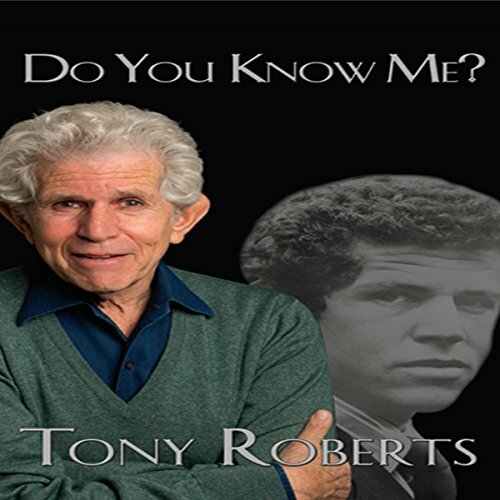 This book is an anecdotal memoir spanning Tony Roberts' 55 years as a professional actor. During that time, Roberts has appeared in 23 Broadway shows, 25 films, three television series, and recorded numerous audiobooks and voice-over commercials. He explores the sources of his ambition and describes the ups and downs of a career in show business. While not a "how-to" book, it provides the inspirational guidance taught by one of America's greatest acting teachers: Alvina Krause. Oh, there's also a lot of stuff about Woody Allen and other people you've probably heard of. Roberts has been in six films for Allen and five Broadway hits for David Merrick. He has been nominated twice for a Tony Award and was the winner of the London Critics Poll Award for his performance in the hit Promises, Promises in the West End. His other Broadway credits include The Royal Family; Xanadu; The Tale of the Allergist's Wife; Cabaret; Victor/Victoria; Jerome Robbins' Broadway; They're Playing Our Song; Absurd Person Singular; Arsenic and Old Lace; Sugar; How Now, Dow Jones; Barefoot in the Park; and a dozen others. He appeared on screen in the Academy Award-winning Annie Hall, and in Play It Again, Sam; Serpico; The Taking of Pelham 1-2-3; Amityville 3D; Radio Days; 18 Again; Star Spangled Girl; Switch; and many others. His television output includes Arthur Miller's The American Clock, Saul Bellow's Seize the Day, and his own series for NBC, Rosetti & Ryan. Mr. Roberts has recorded more than 50 audiobooks, including the popular Stuart Woods detective series featuring Stone Barrington. A New Yorker by birth, he graduated from The High School of Music & Art, and Northwestern University. Oddly enough I found Tony Roberts memoir after I listened to his narration of another audiobook and I was just scrolling through to find any other books he narrated. Since I have watched his movies for years and listened to his voice on my iPod I immediately bought this memoir. Like most memoirs this one begins with childhood, goes through education, and onto a fascinating working life. Mr. Roberts parents and grandparents are interesting people on their own account. I expect leaving Russia when they did would make a great novel on its on. But I think the best thing about this memoir is that without one "tell all story", not so much as a drop of scandal, not one whine or complaint about fellow actors, the story is so good that I truly did not turn it off until it ended. Mr. Roberts has worked with some very famous, and in some cases notorious people, but we only hear about the work. The work that goes into broadway plays, motion pictures, television shows, and voice acting is amazing, and Tony Roberts has done it all for over a half a century. The phrase the "show must go on", is true. We hear about actors working under tremendous strain and yet the audience still enjoys the shows never guessing the balancing acts going on behind the curtain. Tony Roberts's own rather horrible accident could have ended his career entirely and yet he did not and has not quit working. The man can make his own near death experience into a great tale. He cheerfully narrates the audiobook and chats with the listener as we go along for the ride of his life. I am glad I listened to his story. Where does Do You Know Me? rank among all the audiobooks you’ve listened to so far? Loved the book. Great stories and insights in the theater. Not sure what to expect but I live memoirs and this was a real pleasure. What does Tony Roberts bring to the story that you wouldn’t experience if you just read the book? It is his story so there is a real sense of being there. Not that kind of book but the Woody Allen relationship was very interesting. Recommend this to anyone. Thank Tony for a great experience.